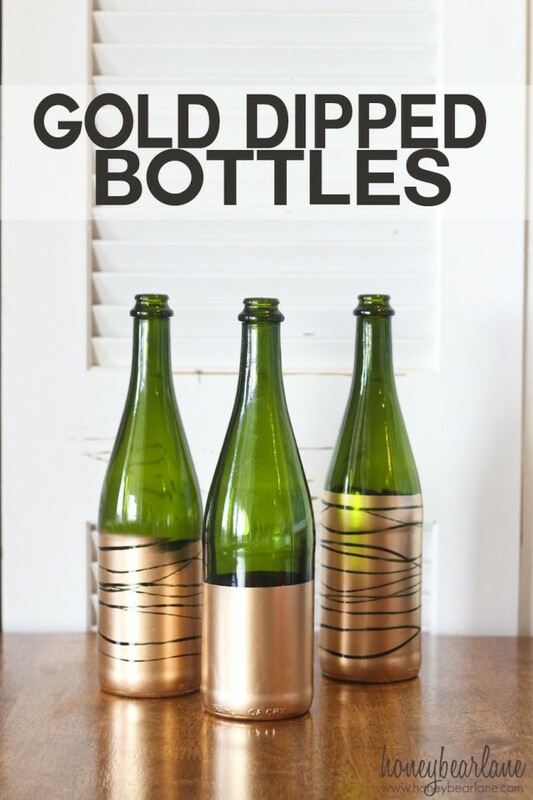 If you need some super easy and quick St. Patrick’s Day decor, why not try Gold Dipped bottles? I have been saving these green Martinelli’s bottles for like a year, wondering if I could somehow use them for a craft or whatever, when this simple idea struck me as the perfect thing for St. Paddy’s. I didn’t really have time to construct an entire beautiful St. Patrick’s day-themed party table and buy beautiful white Gerbera daisies to put in the bottles, but you get the idea. Many ways these can light up a scene. And how cool would it be to rip the label off the bottle while still being unopened and full, and then spray the outside? There isn’t much of a tutorial because it is a very simple craft. I put paper towels with green painter’s tape around the top part that I didn’t want gold. For the solid look, I just spray painted the bottle below with Krylon gold spray paint. 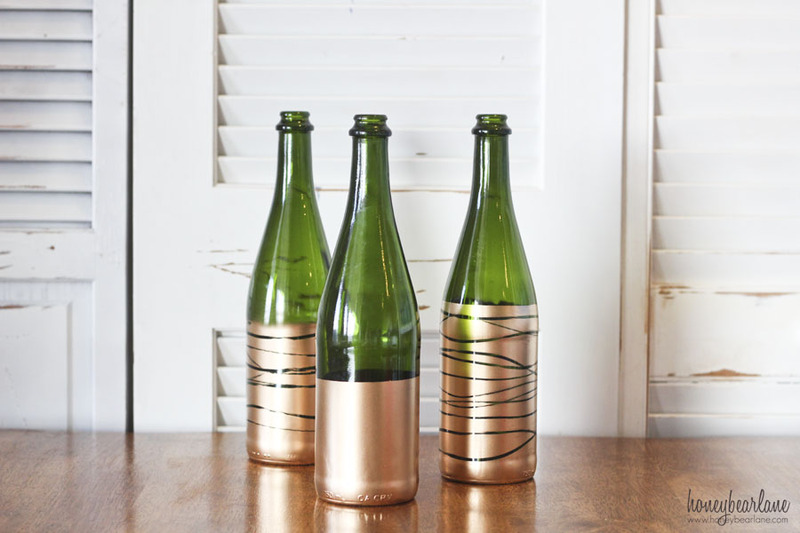 Obviously a couple of these bottles are striped gold. 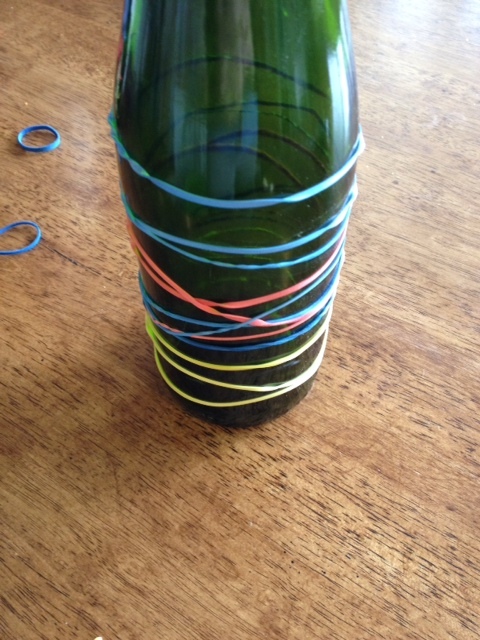 This is a very easy design to achieve by putting rubber bands around the bottle and then spraying. Easy peasy. And could you use these for other times besides St. Patrick’s Day? Sure. How about Christmas? Even New Year’s. Ditch the green bottle for clear or blue and use them for other holidays. I think I will. Because they are a super easy and pretty decoration that could even hold a single flower.